I’ve just completed a new series of drawings. Drawn on rag vellum with ink. You can see the whole series at my portfolio. These drawings are made using a series of marks that make up a vocabulary which when placed in order create a story about water. The marks are a hieroglyphics. A series of marks that when deciphered tell the story. My pal Jayne gave me this terrific journal for my birthday. I think just looking at it gives you an idea of how wonderful it is — just to have around. Drawing on the paper is FABulous. 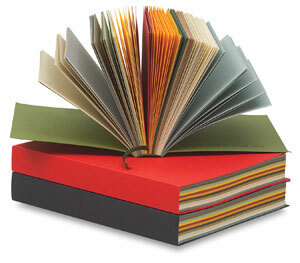 Even has a ribbon bookmark. Just click on the image to travel to a page where you can get one. 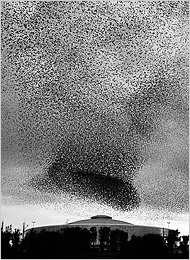 The New York Times is featuring a wonderful presentation and essay about the patterns of Starlings in Rome. 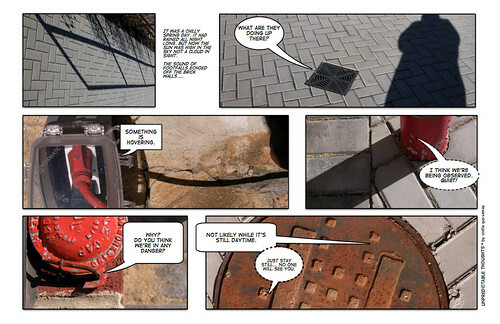 The images remind me of drawings many, many little marks to create the visual pattern. It feels a bit like watching X Files. More and more, as surrounding habitat is flattened, we may find fragments of the wild world coming home, literally, to roost. The abundance of starlings in Rome is partly the result of climate change — they used to go farther south before Roman winters warmed up. Bird-watching thrives on the recognition that the urban and the wild must be understood together. We are, after all, urban and wild ourselves, and still figuring out how to make the multiple aspects of our nature mesh without disaster. The series of photographs in the multimedia presentation puts me in an altered state. Point your browser to link below. I picked this up a few days ago and read it again. No words can express my sorrow and frustration. The loss of human life, destruction of Iraq and global instability. We flaunt our superpower status with arrogance. We treat UN Security Council members like ingrates who offend our princely dignity by lifting their heads from the carpet. Valuable alliances are split. After war has ended, the United States will have to rebuild much more than the country of Iraq. We will have to rebuild America’s image around the globe. The general unease surrounding this war is not just due to “orange alert.” There is a pervasive sense of rush and risk and too many questions unanswered. How long will we be in Iraq? What will be the cost? What is the ultimate mission? How great is the danger at home? A pall has fallen over the Senate Chamber. We avoid our solemn duty to debate the one topic on the minds of all Americans, even while scores of thousands of our sons and daughters faithfully do their duty in Iraq. Why can this President not seem to see that America’s true power lies not in its will to intimidate, but in its ability to inspire? We are humbled by this darkness. We are humbled by this darkness. We feel hopeless, helpless and lost. It took me some time to write about reading this letter. Until I read this my whole feeling about what happened in Virginia was a numbing drone. No opportunity to reflect on the loses and sorrow. When I read this I cried. Imagine for a moment you are this sister. On behalf of our family, we are so deeply sorry for the devastation my brother has caused. No words can express our sadness that 32 innocent people lost their lives this week in such a terrible, senseless tragedy. We are heartbroken. Every day since April 16, my father, mother and I pray for students Ross Abdallah Alameddine, Brian Roy Bluhm, Ryan Christopher Clark, Austin Michelle Cloyd, Matthew Gregory Gwaltney, Caitlin Millar Hammaren, Jeremy Michael Herbstritt, Rachael Elizabeth Hill, Emily Jane Hilscher, Jarrett Lee Lane, Matthew Joseph La Porte, Henry J. Lee, Partahi Mamora Halomoan Lumbantoruan, Lauren Ashley McCain, Daniel Patrick O’Neil, J. Ortiz-Ortiz, Minal Hiralal Panchal, Daniel Alejandro Perez, Erin Nicole Peterson, Michael Steven Pohle, Jr., Julia Kathleen Pryde, Mary Karen Read, Reema Joseph Samaha, Waleed Mohamed Shaalan, Leslie Geraldine Sherman, Maxine Shelly Turner, Nicole White, Instructor Christopher James Bishop, and Professors Jocelyne Couture-Nowak, Kevin P. Granata, Liviu Librescu and G.V. Loganathan. We are humbled by this darkness. We feel hopeless, helpless and lost. This is someone that I grew up with and loved. Now I feel like I didn’t know this person. Our family is so very sorry for my brother’s unspeakable actions. It is a terrible tragedy for all of us. 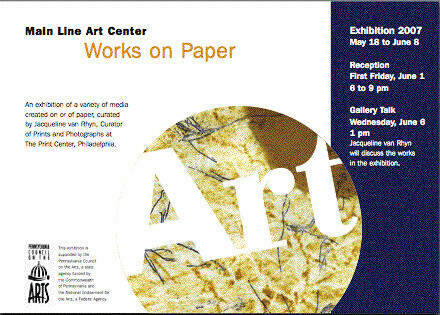 Works on Paper Juried Show : I’m IN! I’m pleased to tell you that one of my drawings has been selected for Main Line Art Center : Works on Paper juried exhibition along with more than 25 other artists. I’ve previewed the work and am very excited to be included in a show with so many excellent works. 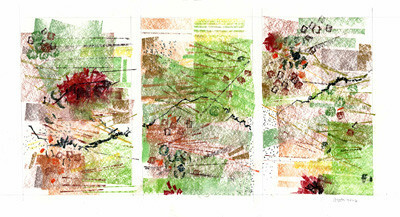 The selected drawing privy path is from a series of plein air works in my Rare Earth Series. Juried by Jacqueline Van Rhyn, Curator of Prints and Photographs at the Print Center, this show highlights works in a variety of media created on or of paper. Join juror Jacqueline Van Rhyn as she discusses the work selected for the exhibition. Free and Open to the Public. 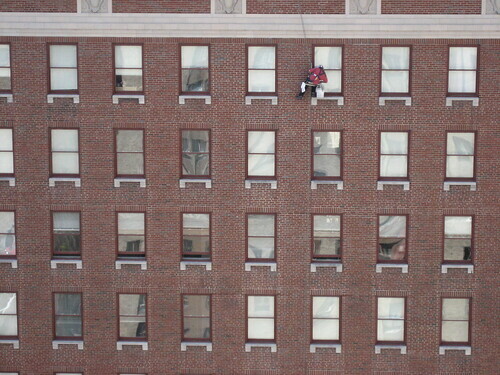 Yesterday during our afternoon tea break I looked out the window to find a lone window washer. Looking at him floating on the grid of windows was an intriguing sight. I thought… what a great job it would be to float down the sides of buildings; looking in on the honeycomb cells of urban life. What would I see that surprised me? Would anything surprise me at all? Would I be lost in the zen of washing windows — noticing only the glass surface I would cover with soapy water and squeegee clean with rhythmic geometric motions?